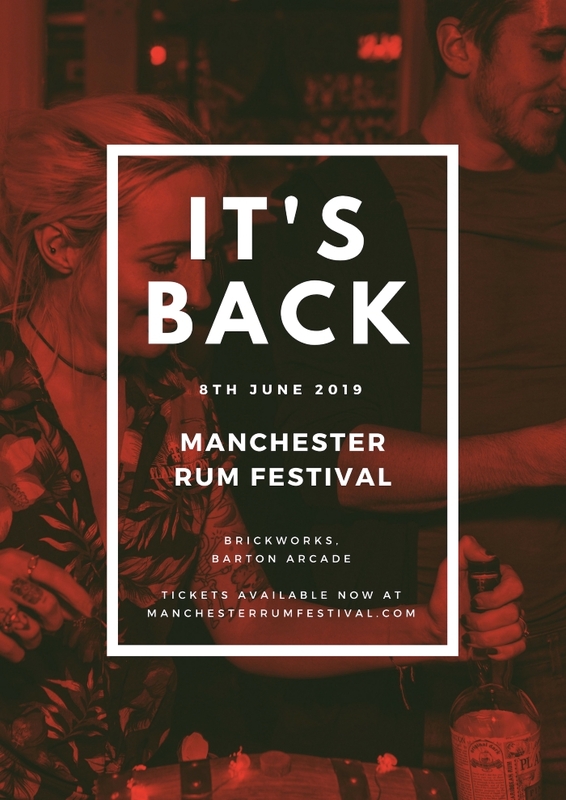 Rum advocate and Manchester based Dave Marsland of Drinks Enthusiast is bringing back Manchester Rum Festival for a 3rd year running, hosting it at the new event and exhibition space Brickworks, within Barton Arcade on Deansgate. Saturday 8th June 2019 will see an expansion of the previous two sold-out festivals, resulting in both an afternoon and evening session for the first time, with ticket prices frozen from the 2018 festival, staying at £20 per person. The festival, created by Dave in 2017 to show that Manchester and the North of England are contributing in a major way to the growing rum category, will feature for the first time a seminar room that will house some of the world’s best rum speakers, brand owners and cocktail bartenders. It will also see the return of Revolución de Cuba as the festivals bar supporter, offering a variety of rum cocktails through their Cuban bar experience. The in-house festival shop will also be present once again, this time hosted by Marigot Bay Bar and Café, the latest venture opened by Dave in July 2018 in Altrincham. Alston Bar and Beef are also returning as one of the festival’s food vendors. Exhibitors will be announced over the coming months through the festival website and social media pages, as well as further activities around the city. To purchase tickets, visit www.manchesterrumfestival.com Dave has been involved in the drinks industry for 12 years, working with a variety of rum brands and companies to expand their business into the North of England, culminating in Manchester Rum Festival in 2017 and Caribbean inspired venue Marigot Bay Bar and Café in 2018. The announcement of the 3rd festival comes on-the-heels of Dave earning a top 4 position in the 2018 Rum Barrel Awards for UK Rum Advocate of the Year. Next Rhum J.M VSOP makes “Top 100 spirits of 2018” in the Wine Enthusiast Magazine!